Climbers: Marina K., Dale W., Micaleila D., Nicholas W., Renn S.
Diego called this morning to let us know that the climbing team had succeeded in reaching the summit of Cotopaxi. The connection wasn't good so we have limited detail, but he said snowpack conditions and the glacier, in general, were in good condition, but winds made the climb challenging. Everyone had plenty of layers though and made adjustments during the climb as needed. He said everyone did a good job of staying warm and climbing with care. 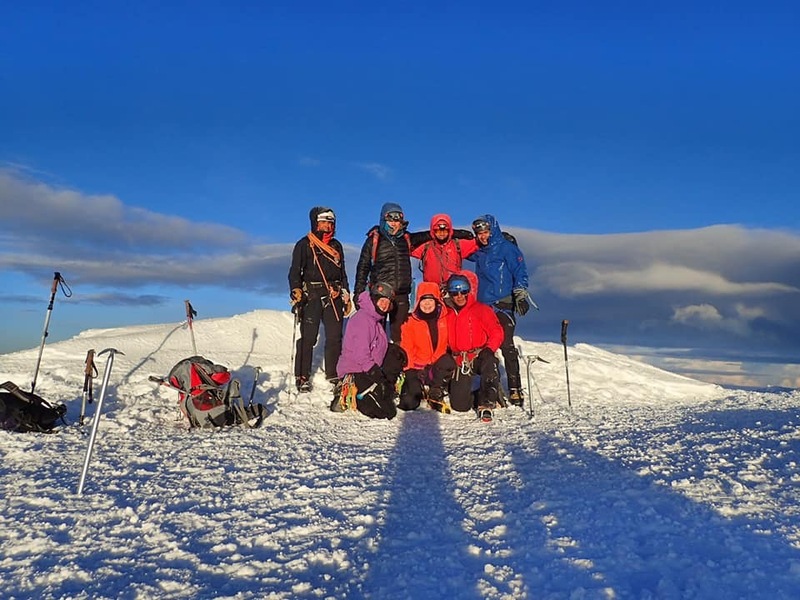 He said the team members enjoyed the great views out over the Amazon and of course of all of Ecuador's other big peaks, including Chimborazo where they will be heading next. However, first on the agenda was a great meal and bed. After getting up at midnight and ending the climb at 1 am (for the coldest and best conditions in the snowpack), Diego said everyone is really looking forward to a long night's sleep! Members of the Expedition on the Summit of Cotopaxi!